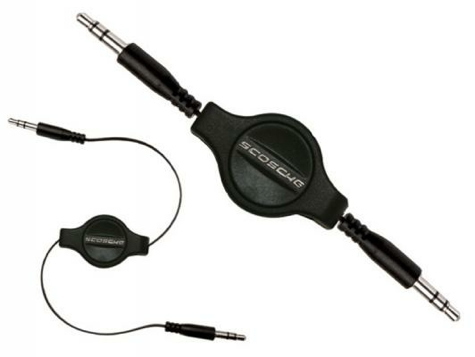 If you have an audio or headphone jack in your car, this little retractable audio cable will do a nice job of simplifying your cable clutter. It’s a simple device: two 3.5mm audio plugs at either end of a thin, flat cable. The feature that makes this different from a plain cable is a spring-loaded spool in the middle. Pull both ends and the cable extends from a few inches to nearly three feet in length. There are stops along the way so this cable can be adjusted to whatever length fits your car and your needs. Scosche makes hundreds of tech-related devices with an emphasis on automotive accessories, and this is a truly useful one. The cable is very, very thin resulting in a concern that it might not be thick enough to carry a good quality signal. However, the resulting sound quality is excellent even if durability may eventually be a problem. The plugs at each end have small diameter barrels so they will fit most of the smallest audio devices. 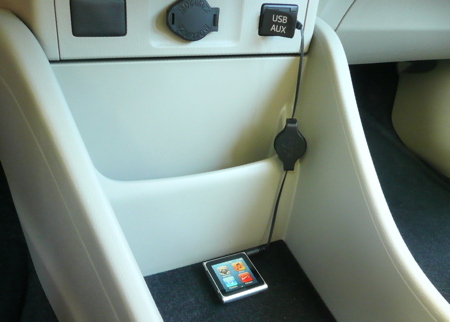 If you have cable clutter in your car, the rePLAY Retractable Audio Cable will easily help you overcome it.